Today’s mobile workforce needs a flexible workplace to support innovation and productivity. 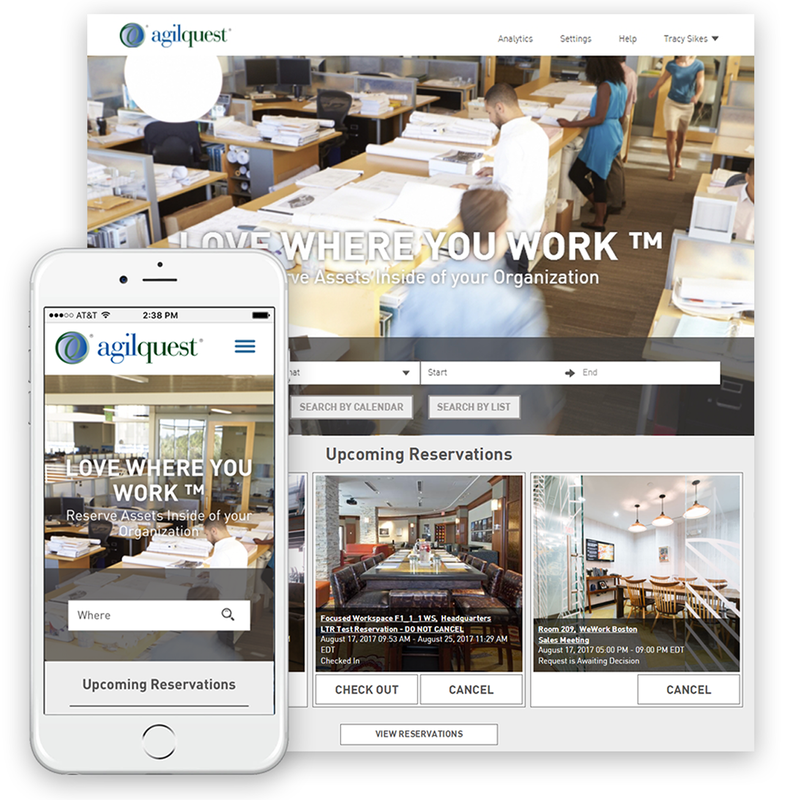 AgilQuest’s hoteling and desk sharing software gives employees an easy way to reserve workspaces when and where they need, for only the time they are in the office. This supports workers’ needs for flexibility and allows the organization to optimize and reduce the number of desks and office space needed. AgilQuest’s hoteling and desk booking technologies, OnBoard and Forum, offer robust business rules and configurations to address your organization’s unique needs and goals.